It’s not just big corporations and companies who need a prominent web presence. Even students need to make their presence felt. 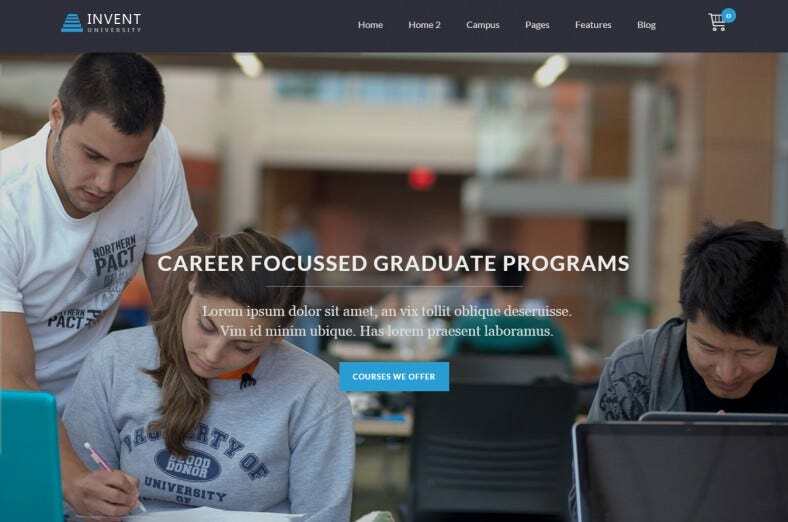 Whether it is to attract future employers or for pet projects or for social activism we have got just the quintessential collection of one-page website templates which will help you get the desired web presence you feel that you need. There is enough space to put in all the details of your resume and your creative exertions without being claustrophobic. Most themes allow enhanced page speed which adds to the ease of access on the part of the viewer. Whether you’re in college or universities using these will help give you the edge over others when it comes to placements. 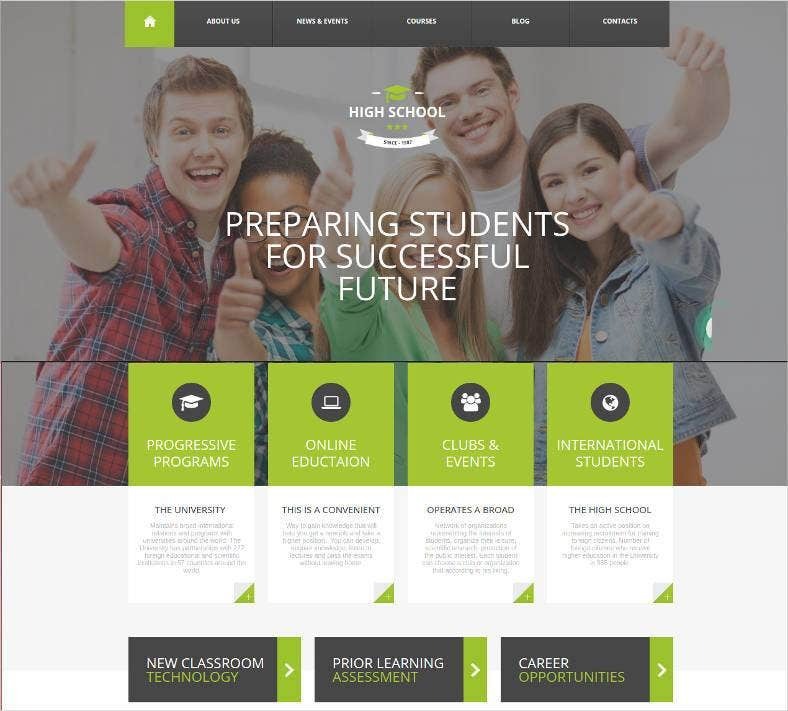 This high school promotion theme is responsive and mobile friendly for students and their parents to navigate through. 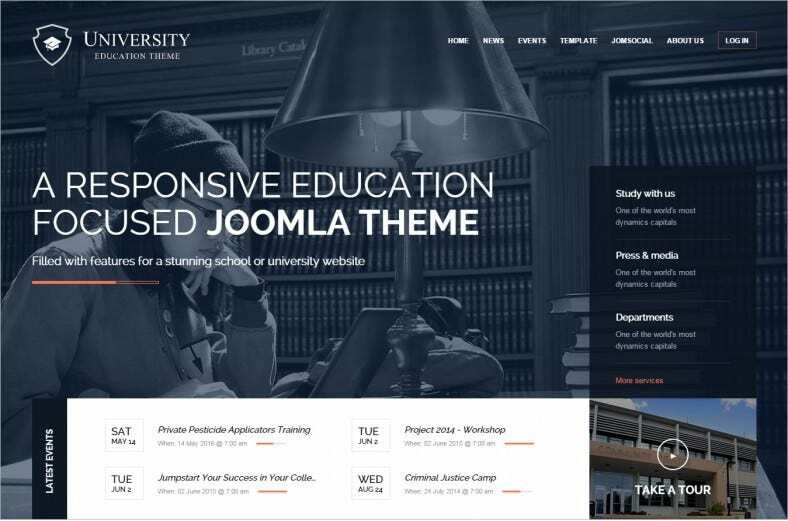 This theme makes use of multiple preset styles, wide and attractive layouts and design schemes to efficiently get information across to viewers. 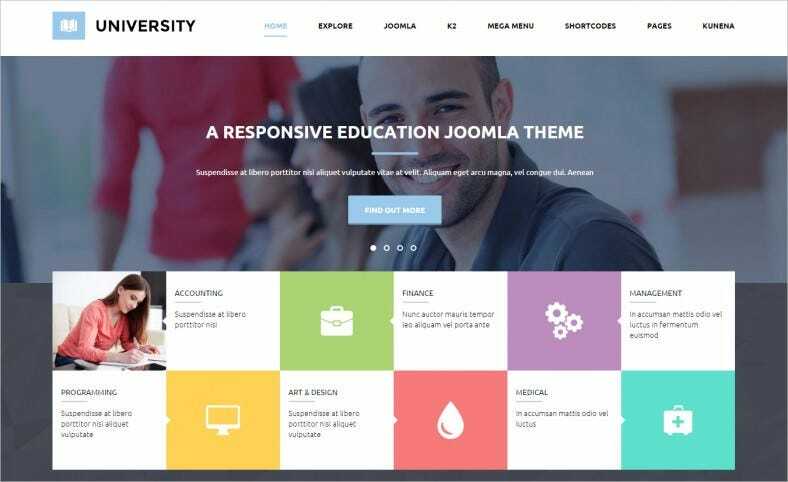 This easy background with customizable scroll speed template comes at a premium price and boasts of a wide range of homepage and background styles to choose from. 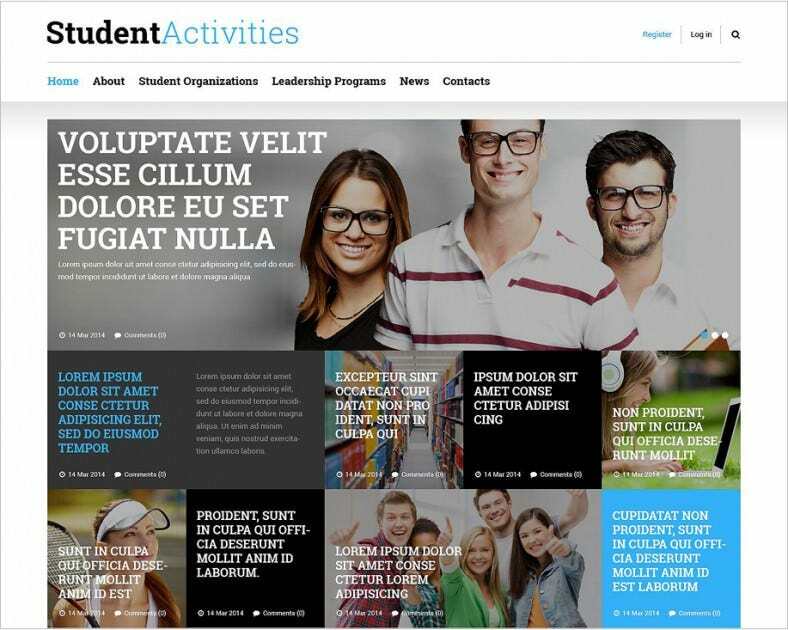 This template is a great help to build a website that can be navigated by students at a customizable speed with ease. 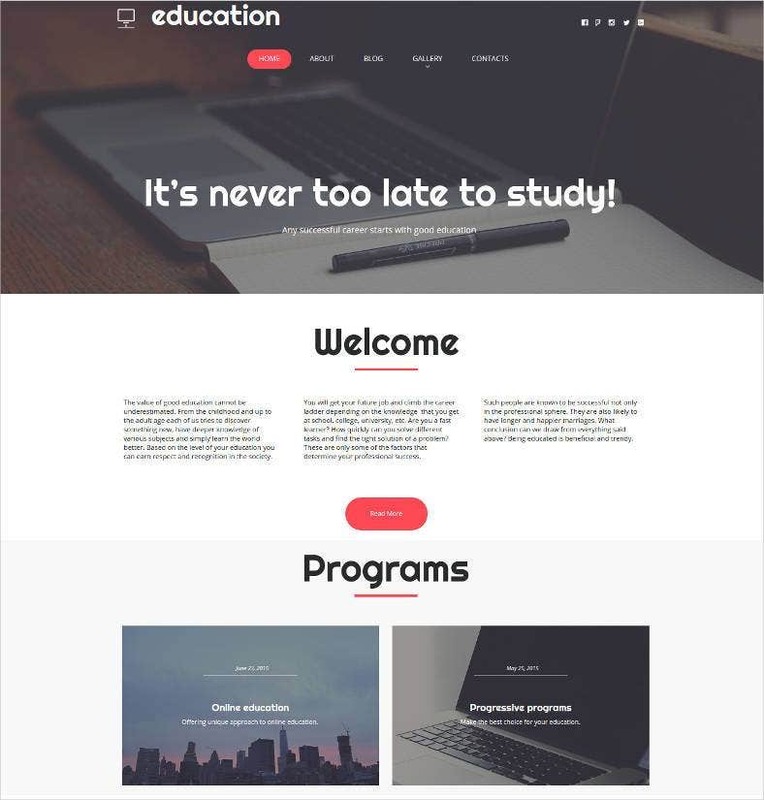 This education template comes with nice shotcodes that can save valuable time and energy spent in building each element of a website separately. 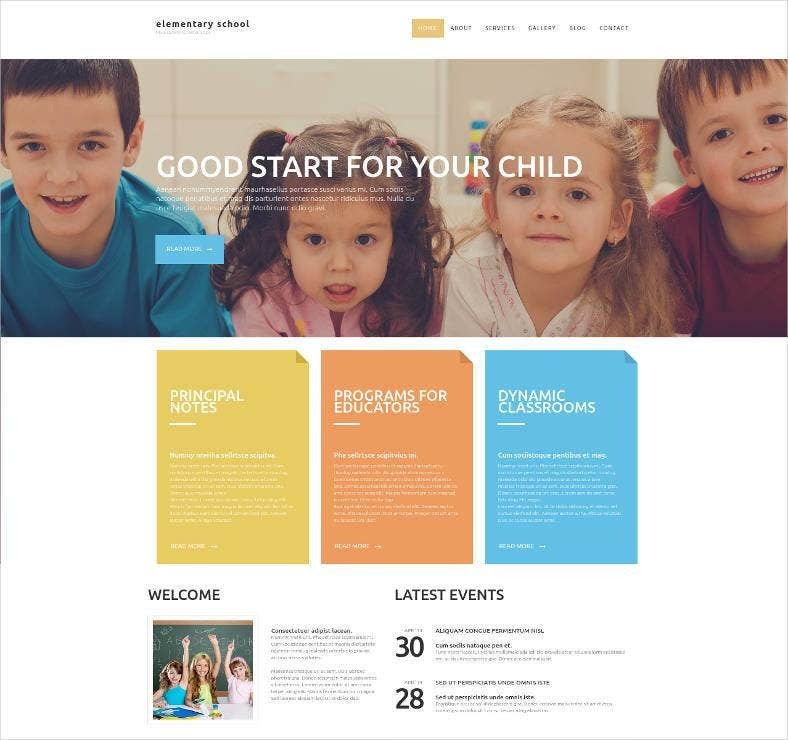 It provides multiple comprehensive, wide layouts and styles for navigation through the site with ease. 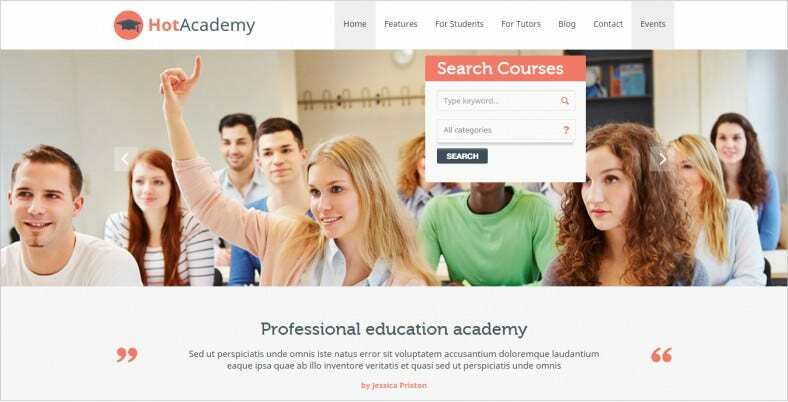 This template comes with unlimited sidebars with SEO optimized, at a premium price. This is very useful in building a website that is attractive and efficient in getting information across by being efficiently accessible to viewers. 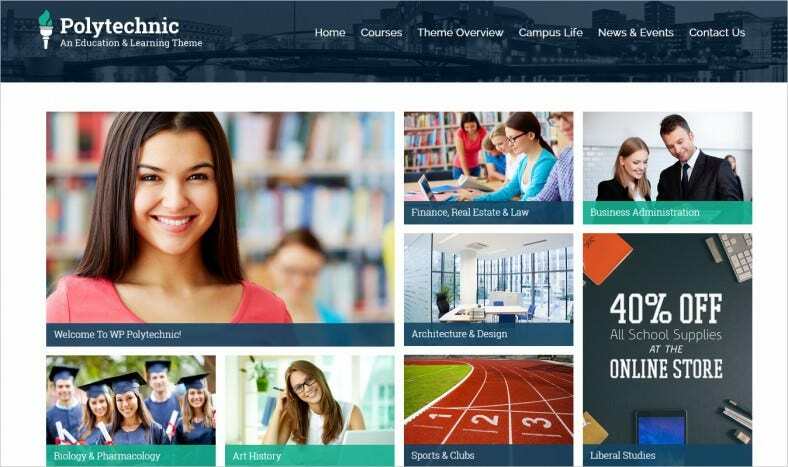 The advanced course bookstore template is responsive and mobile friendly and comes with a free demo version. 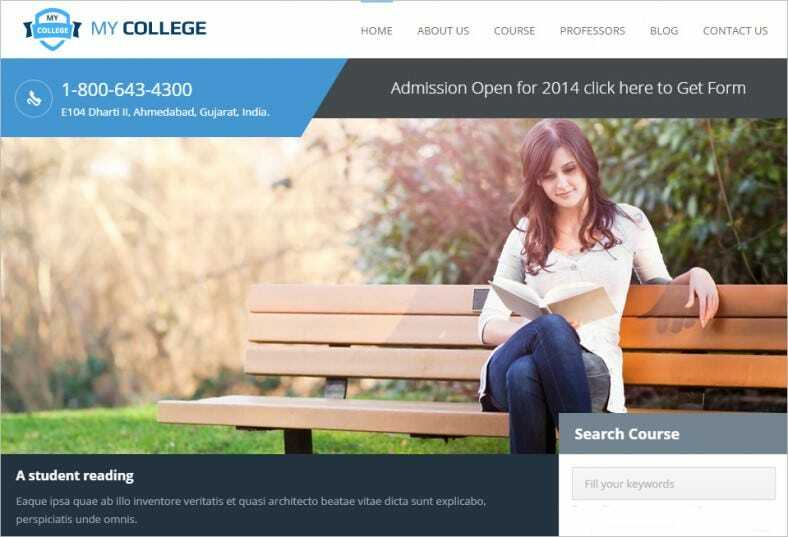 It helps students to navigate with ease through their options displayed using multiple preset layout options. 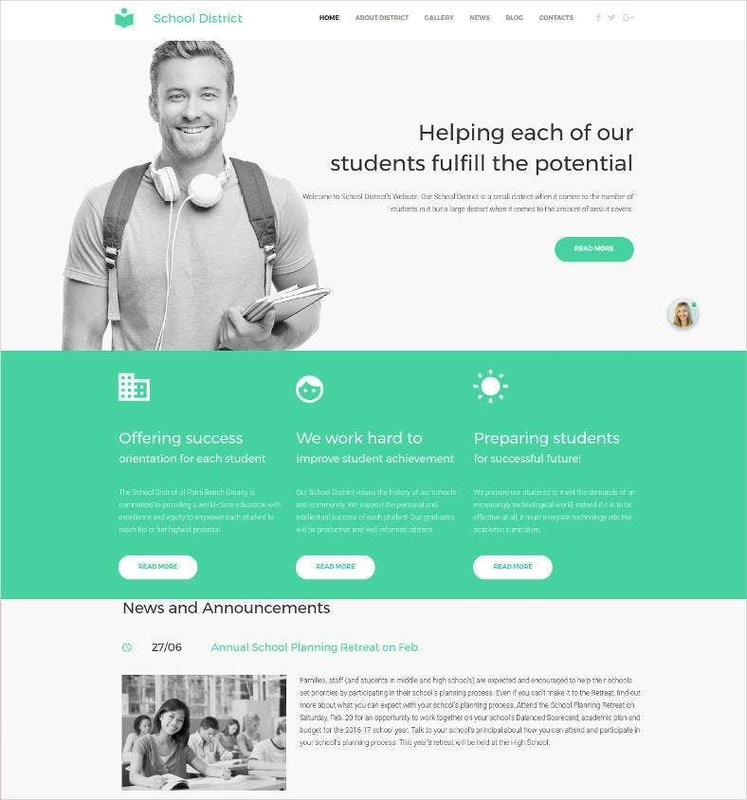 This student website template comes with a 100% responsive layout that is mobile friendly and comes at a premium price and a free demo version. This is an immense help in building a website that is accessible, easy to navigate and user friendly.